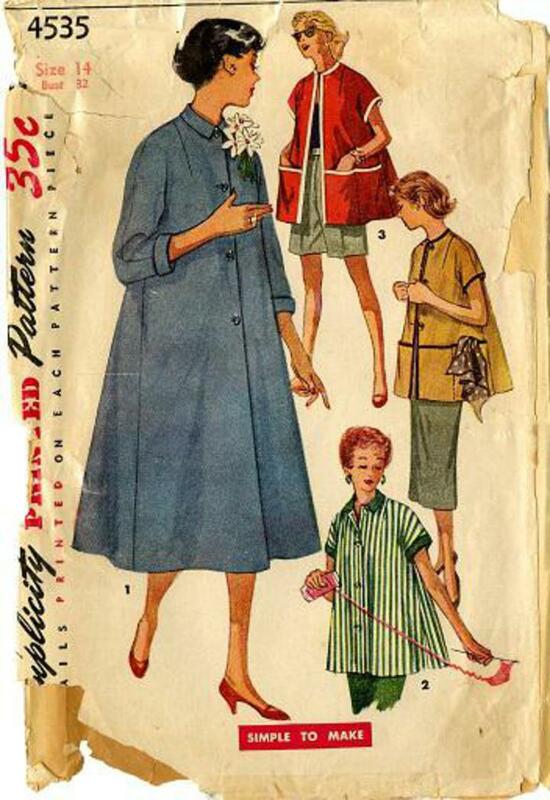 1954 Simplicity #4535 vintage sewing pattern, misses' maternity duster, jacket and smock, size 14. "Simple to Make" style features sleeves cut in one with front and back and front button closing. V. 1 has three-quarter length sleeves with cuffs and pointed collar. Lining is optional. V. 2 has short sleeves and contrasting collar and cuffs. Stitching divides pockets.